While it is clear that the technological evolution of man has brought many benefits it is also true that the profound changes in the environment in which we live have had a very negative impact on our health. In particular, the introduction of agriculture and the transition from a life of nomads and hunters to settled farmers, has resulted in a radical change of nutrition with devastating impacts on human health. Our genome and our metabolism fit but in an extremely long time and 10,000 years since the birth of agriculture to date have not been sufficient to induce metabolic adaptations. This means in simple words that our body is still adapted to the primordial power as 10,000 years in this part we eat more and more sophisticated, more and more processed foods with more calories and fewer nutrients. Some very interesting studies conducted separately by Cordain, Lindenberg and Ames and published in prestigious international journals, have shown in all its drama and also the inadequacy of the modern approach to the problem of classical medicine nutrition. 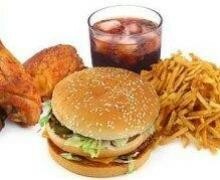 The key to healthy eating is the understanding of the gradual introduction of foods unsuitable for our physiology during human evolution, introduction which is the basis of many modern diseases as evidenced by numerous studies which have compared the incidence of diseases such as stroke, cancer, diabetes and obesity in populations that have power closer to the primordial than us Westerners. 1. Excessive glycemic load: the excessive consumption of refined carbohydrates (non-integral) and simple sugars is linked to many diseases including obesity, diabetes, hyperinsulinemia and insulin resistance, metabolic syndrome, hypertension, cardiovascular disease, dyslipidemia, polycystic ovary syndrome , acne, gout and some types of cancer (colon, breast, prostate). The problem is not only the conscious acceptance of sugar but also that which is unknown to the consumer. Sugar is in fact added to many packaged products such as soft drinks, snacks, sweets, condiments and even in smoked salmon and mustard. Eliminate the consumption of sugar and replace refined carbohydrates with whole grains is a crucial step to improve our health. 2. Wrong intake of fatty acids: the demonization often excessive fat resulted in a reduced consumption of healthy fats and also a shift towards foods low in fat but with added sugars. A balanced fatty acid consumption is of paramount importance to human health in particular guaranteed of taking omega 3 fatty acids with anti-inflammatory, neuro-and cardio-protective properties. Many of the chronic-degenerative and inflammatory diseases seem to be associated with an imbalance between omega 3 and omega 6 with excessive intake of the latter. Abound with fish and use 2 tablespoons a day of flax seed oil allow to ensure adequate intake of omega 3. The other problem which concerns the fat is the massive introduction of hydrogenated fats in the food industry that are not metabolized by the human body and have very devastating effects on the metabolism. 3. Wrong distribution of macronutrients: reduced intake of vegetables, legumes and protein at the expense of carbohydrates has changed the distribution of macronutrients. The recommendations generally suggest to restrict the intake of fat to 30%, to maintain the protein to 15% and increasing to 55-60% carbohydrates. These values, including recommendations, have no basis in evolutionary as far removed from the values ​​observed in primitive diets in which the protein covering 19-35% of total calories, carbohydrates only 22-40% and the remainder is provided from fat with a high content of omega 3. Furthermore it should be noted that the percentages are less important than the characteristics of macronutrients. There is a big difference between 45% of carbohydrates provided by simple sugars or complex carbohydrates from vegetables and grains. 4. Poor micronutrient content: refining and industrial production of food makes them substantially free of concentrations of micronutrients necessary for the health. In the preparation of refined carbohydrates for example deletes almost all vitamins and minerals. According to many authors including Bruce Ames, in the western world we live in a condition of chronic shortage of vitamins and minerals, that deficiency is not sufficient to give a real avitaminosis but which has an impact on our metabolism and enzyme functionality. This indirectly could be the basis of chronic degenerative diseases so sadly common in developed countries. 5. Poor content of fiber: the refined foods is obviously taken from the fiber which, however, has an important role in the physiology of the gastrointestinal tract. The soluble fiber, which are rich in fruits and vegetables acts as a buffer for the absorption of sugar and fat, reduces LDL and increases HDL while the insoluble fiber, which is located predominantly in whole grains serves to optimize the gastrointestinal transit and the 'ave. 6. Acid-base balance is wrong: all food after being digested and metabolized release alkaline or acidic substances into the systemic circulation. Today, the most alkalizing foods or neutral (legumes, vegetables, fruits, nuts, seeds, tubers) have disappeared from our diet to make room for acidifying foods (meat, eggs, milk, cheese, salt). This means that many of us are in a state of chronic acidosis which affects muscle wasting, osteoporosis, about kidney stones, hypertension and on the 'kidney failure. 7. Incorrect balance sodium-potassium: the Western diet has a sodium content of much higher content of potassium. Also in this case the cause is the gradual replacement of potassium-rich foods with foods that are low as refined carbohydrates, milk and cheese, and of course the introduction of table salt. Overall, these new habits have caused a reduction of 400% of the consumption of potassium and a corresponding increase in sodium. This reversal of the sodium-potassium balance has been linked to hypertension, stroke, kidney stones, osteoporosis, gastrointestinal cancer, asthma and insomnia. The extreme consumption of high calorie foods and iponutrienti is unfortunately very widespread and involves a chronic metabolic disorder that also involves the mitochondria, the power plants of our body. Deficiencies of micronutrients (vitamins and minerals) cause real damage to DNA as well as a loss of efficiency of complex enzymatic reactions. There is a significant amount of data indicating that a chronic deficiency of vitamins and minerals promotes the development of diseases such as cancer. Vitamin D for instance acts as a regulator of cell proliferation and seems to protect against many forms of cancer including cancer of the breast and prostate. Nutrigenomics, a new branch of genomics that studies the effects of food on gene expression, showed how mistaken only see the food in terms of calories (as is done in classical science). The food is rather "information" which arrives in the body and modulates a complex series of processes including genomic the basis of health and disease. The inadequacy of the modern is a scientifically proven fact. Unfortunately, most doctors struggle to understand the importance of nutrition in human health (in the degree course in medicine today do not study even one hour of clinical nutrition), and sometimes it seems like the instructions provided by the medical are once again sorted industries, in this case those pharmaceutical but not those food. Even if it is still needed a lot of research in the field of nutrition and nutrigenomics, there is already a solid scientific evidence that deficiencies in the acquisition of micronutrients can lead to many negative consequences including cancer. It therefore seems scientifically unserious continue to give general suggestions on nutrition when it may be the first level of intervention for the prevention and treatment of many diseases. It is no longer simply to suggest a balanced nutrition today when the production of food deprives itself of the substances necessary to promote health. It 'yesterday's publication of a study on childhood obesity Institute of Health indicates that in Italy as 1 in 3 children between 8 and 9 years is overweight or obese. This means that more than 1 million children are bound to have serious health problems due to power who have been exposed to parents, school and often by pediatricians and physicians in general, too often slaves to the incessant pressure advertising. Especially in the case of feeding children will continue to hear advice unfounded and unscientific pushing parents to feed their children with milk, yogurt, cheese, snacks, pasta, bread etc.. The latter also satiates just being free of substances such as fiber fills the stomach and are specially designed to create forms of dependence and stimulation of the pleasure centers in the brain. In this way they reach the goal industrially useful that is to compel us to eat more and more and more often. An extreme example of this marketing strategy is the so-called light foods, specially designed to delude ourselves that it is light and not get fat so that it can take longer. In fact, the introduction of light foods (for other high-sugar and sweeteners) coincided with a rise in obesity and a corresponding increased consumption of those particular categories of food than the versions that do not light. The truth is that nutrition to ensure our health in the future, we must again take possession of our past. Wild animals eat with the stomach and the gastrointestinal system. Do not get fat, eat just enough to feed and to remain active and independent until a very short before their death. Modern man eats unfortunately with the brain and the centers of pleasure, does not satisfy his body but his desires and pays the consequences in terms of degenerative diseases. The more modern approaches and innovative nutrition, such as nutrigenomics, developments are valuable for the molecular understanding of the effects of nutrition on the human body.